Comment: 3 area rugs, each approximately 8X10. They were cleaned and repaired in November 2017. Comment: 20 year old curtains - need cleaning. Comment: I have 4 dogs who I allow on the large couch in our family room. I usually keep it covered with XL bed sheets but when we have people over I remove them. There have been times where the couches have been uncovered for a few weeks and the dogs have slept and shed on them. I have vacuumed the couches multiple times to get the dog hair off. Before my in-laws come on Tuesday, 4/16 I would like the couch to be cleaned professionally and looking like new. We purchased the couch December 2017. It is tan and seats 5-6 people. Plano Carpet Cleaning Services are rated 4.76 out of 5 based on 1,721 reviews of 17 pros. 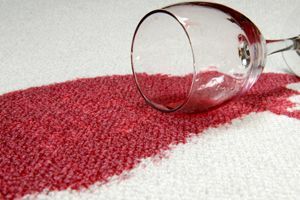 Not Looking for Carpet & Upholstery Cleaning Contractors in Plano, TX?